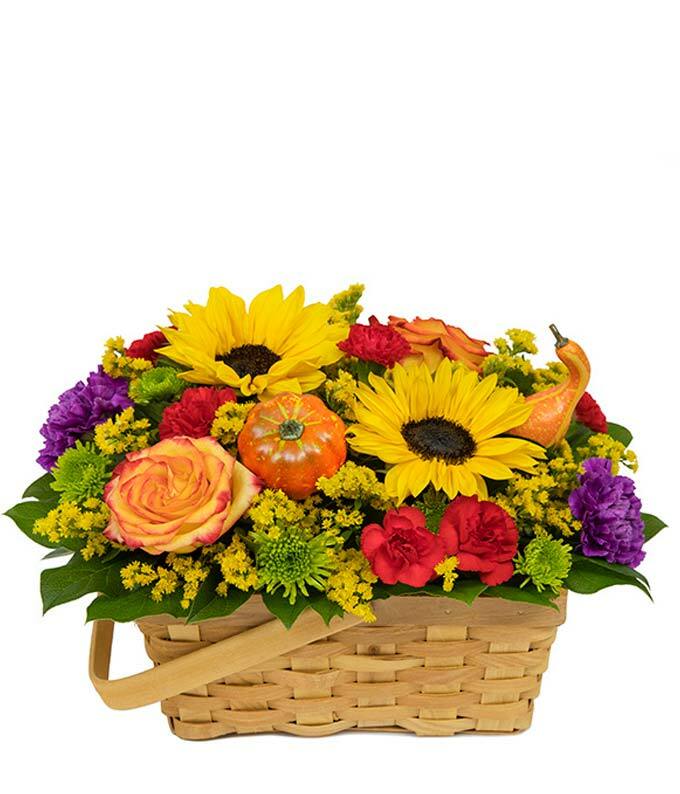 Explore life's colorful possibilities with the Autumn Time Flower Basket. Send vibrance and warmth to a special friend or family this fall season! Enjoy the bright blends of fresh flowers arranged with thought and care by an experienced florist. Arrangement Height 9", Length 15"